Ever since I was a little kid, I’ve been into cars. In this regard my automotive story began the way I’m guessing most of yours did: long before any of us were of driving age. 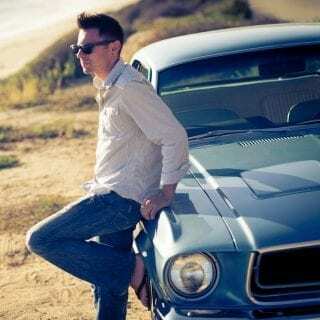 My father and grandfather were mechanics by trade—and they still are today, along with my older brother—and ours was the kind of family that would constantly call out interesting cars to each other on road trips, and I could identify make and model from a glimpse of a single headlight in the night. This is likely a familiar story so far, yes? 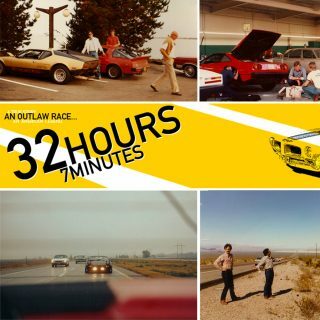 Ever since I can remember, I’ve been obsessed with cars. 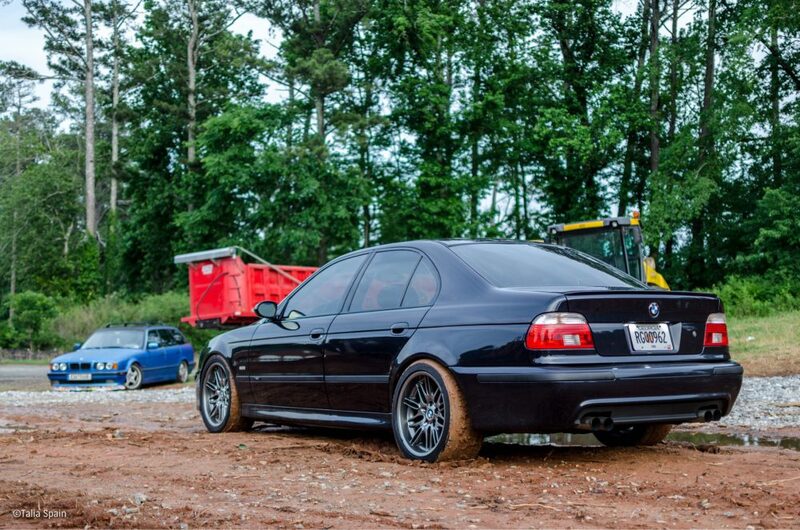 This isn’t about me though, it’s about the half-German-luxury-car, half-NASCAR machine called the E39 M5. 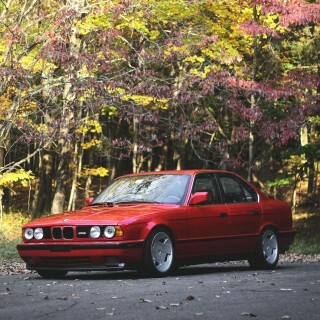 Mine is the first model year of the E39 generation, a model year 2000, and it’s been through a lot. The car has aged incredibly well though overall, and it doesn’t immediately strike you as something designed two decades ago. In its roughly 17 years of existence, it’s racked up just under 380,000 miles on the odometer, though I’m just the third owner of this Teutonic rocket. Purchased from a fellow enthusiast, the car came to me in need. It was a bit of a handful with the mileage and life it had led, but this was one of my adolescent dream cars that I could never imagine owning back then, so I took the plunge. I still remember a particular day watching soccer on TV with my mom and dad. It was the first time I’d seen the Bonneville Salt Flats commercial for the E39 M5. Do you remember this ad? There is a tracking shot of a speed record car hurtling across the white planes before the ‘chutes come out and the camera car pulls away to be later revealed as an M5, followed by the formative-for-me text: “The BMW M5. 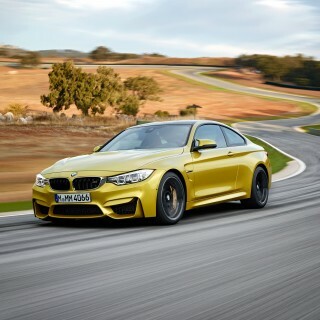 Fastest saloon car on the planet.” I was hooked then, and now, I finally own one of these beasts. She’s led a long and full and a bit of a hectic life, and although my M5 is in pretty decent shape, I’d definitely categorize her as a “driver.” No garage queen surely. Since I took ownership I’ve tried to refresh things and keep it from looking like its mileage; the paint has been resprayed to the factory color, I’ve redone the interior back to factory specifications, and I’ve updated the head and taillights to the facelift E39 units. Other than that, I’ve fitted some stiffer adjustable coilovers and a tune for the monstrous 4.9-liter S62 lump under the hood. With sticky tires, few cars can keep up on the highways and B roads alike. I intend to bring the car to well over half a million miles, and I’m well on my way to doing so. I drive it in the mountain roads outside of Atlanta frequently, and she still screams past 7k on the tach. She burns a little bit of oil, but nothing that wouldn’t be expected in this case. In fact, this car was once done up to resemble the old ‘Ring Taxis that the previous owner had seen on the Nürburgring, so one can only imagine the way it was driven! 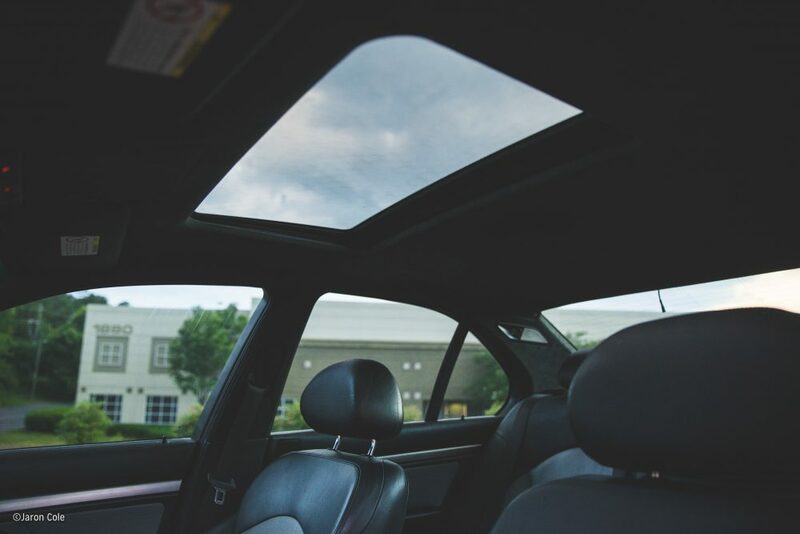 In terms of driving, it is a remarkable experience that still bests many of the newer entrants into its super saloon niche. Working at BMW has provided me with more than a few privileges, including the option to drive just about every M car we had. I’ve been in everything from the E30 M3 to the newest M6 Gran Coupe, and I still choose the E39 M5. It’s the one I always wanted to take home with me, and I’d likely drive right past my house just to keep playing with the motor’s excellent low-end torque and the shove in the back that it came along with every poke of the pedal. It’s not a lightweight, but it still has an analog feel to it, and it’s remarkably balanced. It positively scoots on straightaways, and you can still dig deep into a sweeper with confidence that the rear end will take a set and shoot you out the other end, often accompanied by the sound of tires on their limit. 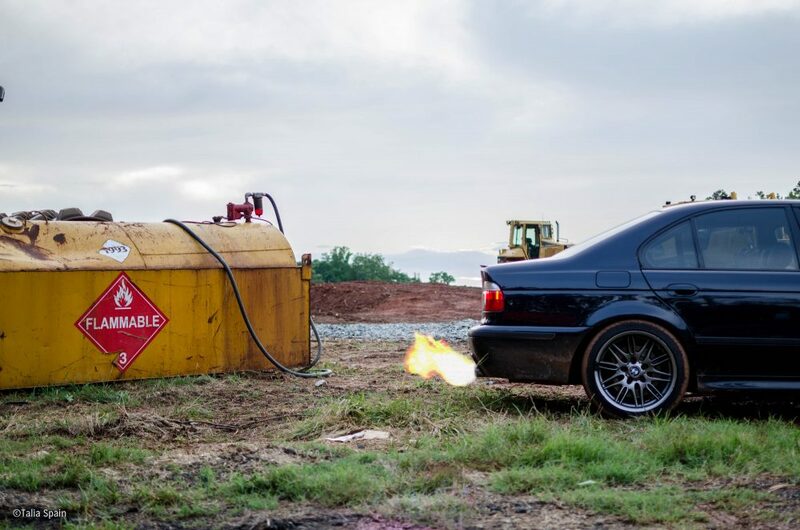 If you choose, the M5 can become a smoky drifter or a provide the feeling of a planted GT car. 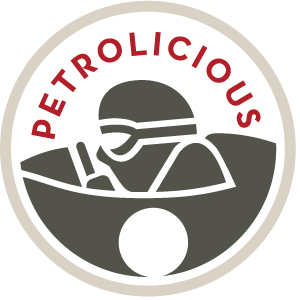 It’s character is directly linked to how much throttle you give it, and when. 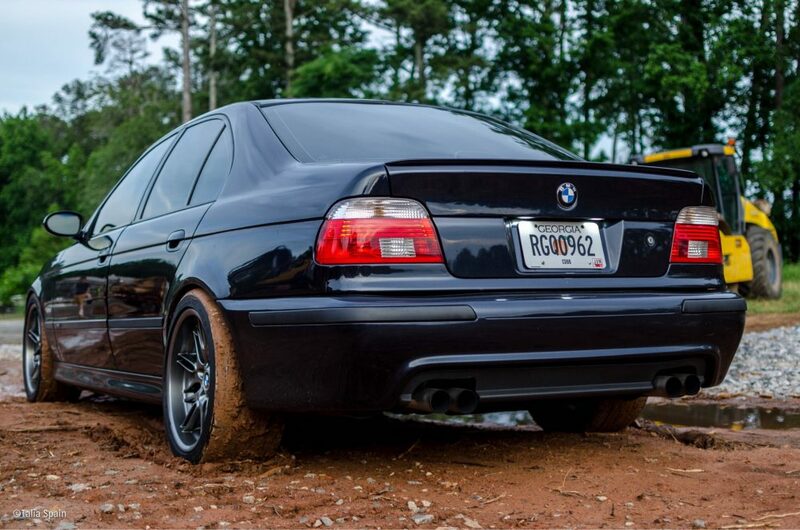 In the mountains where I like to do my more spirited driving, few cars can keep up with the E39. I’ve had more than a few people ask me after a stint in the curves and ask me how it performs as well as it does. It’s just balanced. Sure, the almost 400 horsepower that comes on early and sticks around makes it plenty fast even by today’s standards, but the motor doesn’t explain its roadholding abilities. The suspension I’ve installed helps heaps of course, but even before that modification I found the M5 to be a very communicative and competent car in the corners. It will lean and let go of grip if you push it, but it’s not prone to snap oversteer to the degree that some heavy fast cars tend to have, and its ability to hunt the apex belies its two-ton curb weight. 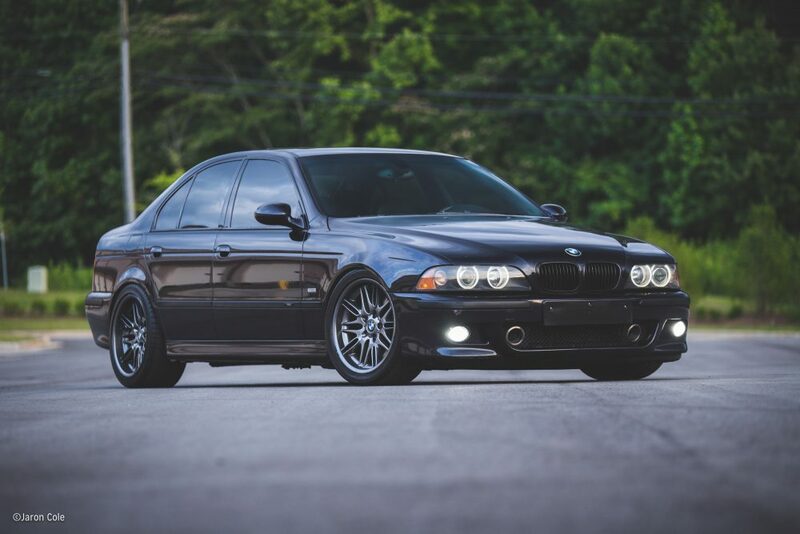 And as every owner of an E39 M5 knows, perhaps the most magical element of this car is the split personality; you can go thrash it to the redline and back all day in the mountains, take it on the Autobahn until you’re achingly close to 200mph, and then in the same day load it up with your kids in the backseat and cruise at 65 in soft silence. This was the car that pushed the idea of a fast luxury sedan onto a new plane. Compare this car to the E34 M5, or even the E55 Mercedes that it competed with in period, and it’s simply on another level of speed and comfort. It is a jack of all trades and a master of all of them. I suppose that’s why I and so many other owners daily drive these cars. It’s not going to put up with the abuse and neglect that a Corolla might, but if you stay on top of the S62’s maintenance needs it isn’t going to eat through your bank account like so many doomsayers will have you believe. 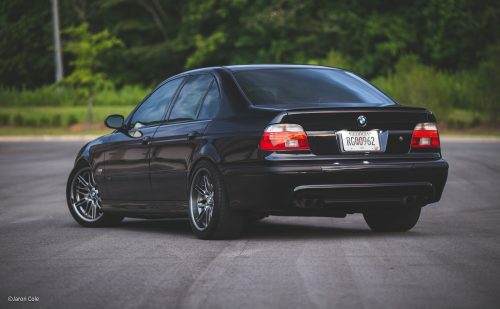 I went through the timing chain, rod bearings, and the VANOS unit when I got the car, but that’s mainly due to the fact it has more miles than I’ve ever seen on an E39 M5, coupled with the ‘Ring Taxi impersonation it was trying to pull off; clearly it was not a car that’d been babied. But, since that preventative maintenance, it’s been as smooth and easy as I could hope for. 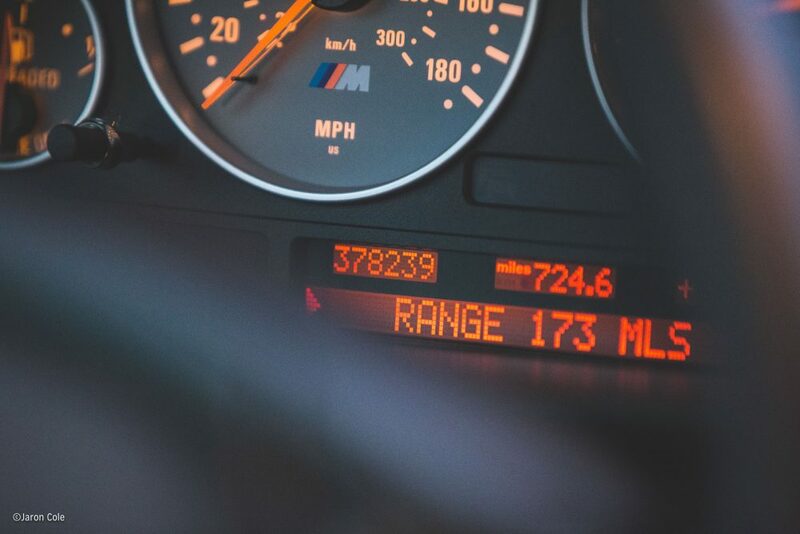 It’s my goal to keep driving this car for as long as I can, and I have little doubt that I will cross the 500k mark in the near future—the M5 is my commuter car, my track day weapon, and my companion for countless excursions to the mountains north of my city, Atlanta. Some people say that cars are appliances, others consider themselves temporary caretakers, but to me this M5 is a part of my family. It’s not something that only serves. It is a car that takes care of me of course, but I plan to do the same for it. Here’s to modern classics in their old age! Journal What's Better Than Driving Your Dream Cars With Childhood Friends? 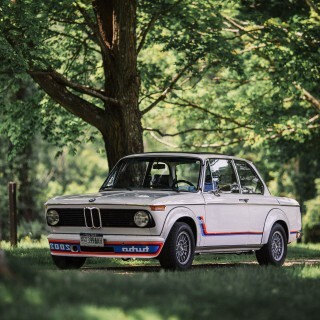 The best looking generation of Bimmer! Understated, graceful, yet, still aggressive, and, you didn’t need a manual the size of a phone directory to operate it properly. The best part? They still offered honest-to-god manual transmissions! What a heartfelt write-up. I am 24 hours into owning my 01 E39 M5 and can totally relate to your feelings. Though a little nervous and green about what it’s upkeep involves! My other car is a Corolla! 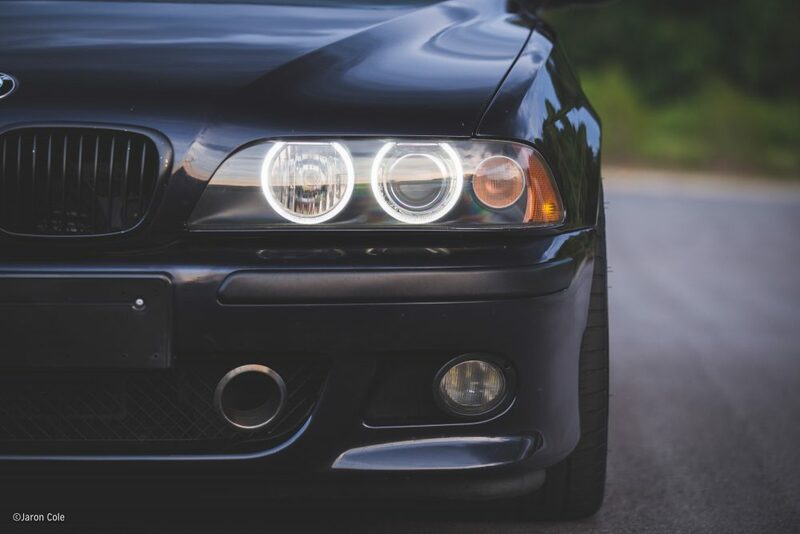 I’ve got an E39 540 with a few Dinan goodies, so I feel like I have a general idea of the experience of owning a mighty E39 M5. It is such a bitchin’ good car to own and this article says it all. Today I thrashed my 540 to Boston and back from New Hampshire and it was a blast. Rock On – Drive On – Remain Calm – and do Carry On ! Apologies .. its me … . logged in incorrectly ..
That’s how cars should be driven – hard and often. Here’s to 500k and all the adventures along the way, Alex! 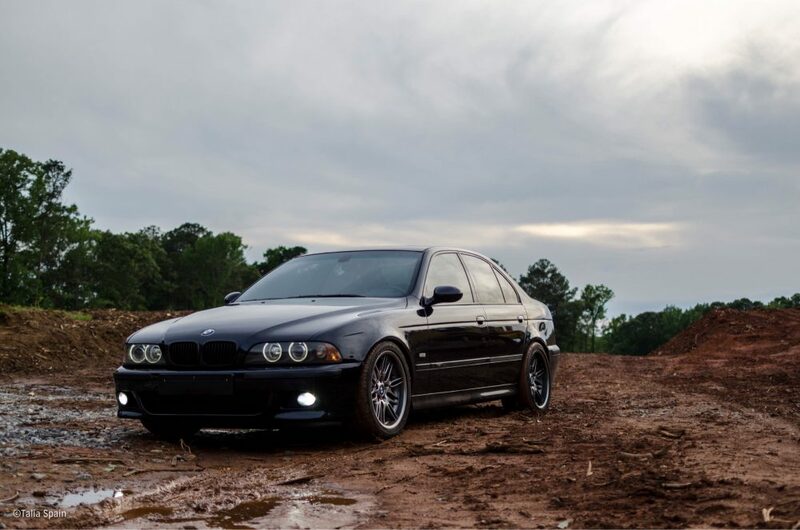 Great article Alex, you hit all the points about the BMW E39 M5 and how us owners feel about this beast. Good luck on your many adventures to half a million miles. Cheers!